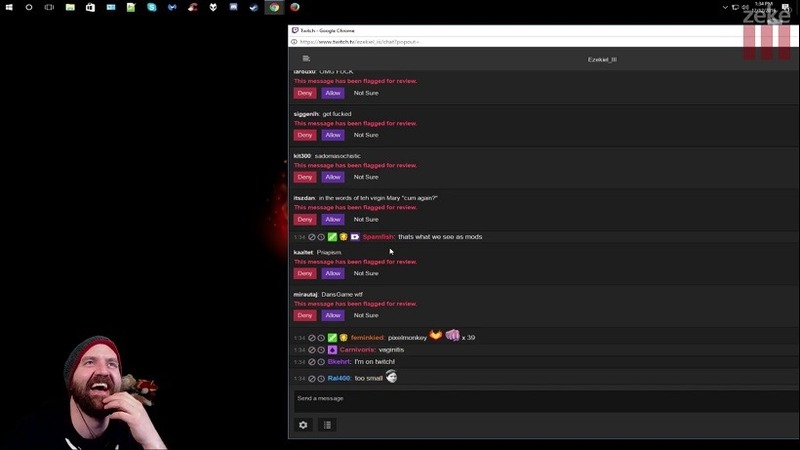 Up until now Twitch chat has been moderated by users who follow their favourite streamers, as well as bots such as Moobot and Nightbot who helped deal with spam. While the combination of the aforementioned worked, it didn’t stop people from behaving inappropriately or just being generally toxic in chat. Channel moderators did their best to remove any toxic comments aimed at streamers, but they couldn’t spend the entire session playing policeman which has led to Twitch’s recent announced of AutoMod. The issue with moderated Twitch chat is that the messages appear for everyone to see before being removed by a moderator. In popular, fast flowing chats this presents a real problem as it takes away any positive experience for viewers. The AutoMod can be set up by category to filter out any sexually explicit, derogatory, racist, or aggressive language. Moderation can be set from none at all to harsh moderation, and this does away with a lot of the issues. As mentioned above, AutoBot will not remove users, but instead place any comment outside the boundaries as unseen awaiting the approval of a channel admin. It will not appear in chat thus keeping the chat flowing in a positive manner. The new AutoMod works really well, as tested by streamer Ezekiel_III the other day. The video clearly shows how strict level 4 AutoMod is banning phrases and words. Twitch does have a severe issue with its chat and while some streamers thrive off it (somewhat promoting bad behaviour) others don’t take too kindly too it which has prompted Twitch and their partners to crack down on harassment. The foreseeable issue now is channel admins actually having to work other than issuing a ban here and there which is often an unpaid, fun job for fans of streamers. However, the addition is welcomed and Twitch chat may actually be worth partaking in again, especially for large channels.